Experience immersive virtual reality with wireless VR headsets that work with or without smartphones. Explore multisensory virtual reality landscapes with connected VR headsets from top brands. Browse laptops and PCs that are built to run virtual reality and augmented reality software. We’re helping organizations use VR to change the way our senses and technology play a role in our everyday experiences. As an all-in-one resource for VR technology, we’ll act as an extension of your IT team. Augmented and Virtual Reality. Orchestrated by CDW. Advances in virtual reality and augmented reality have led to breakthroughs in healthcare, education and advertising. From virtual reality medical training to immersive classroom experiences and memorable AR marketing, the applications are nearly limitless. Leveraging virtual and augmented reality takes the right balance of hardware and software. 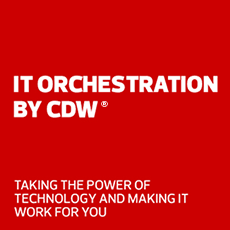 At CDW, we use our IT expertise and partnerships with industry leaders to orchestrate a VR or AR solution that delivers a better experience for customers and end users.